That’s a question I asked myself several times the last week. So, I postponed the writing each day, hoping I would somehow find the right words later. I realize now there is not an exact point to start, so much has happened that it is even impossible to just write that down in one blog. Of course, many of you followed our stories and pictures each day, which was wonderful, it was pure joy to read your comments, but that was just a part of what we’ve experienced. What I didn’t share is that I didn’t felt so great in the house that I rented. Not that the place wasn’t good, it was a lovely house, at a beautiful location, and with very heartwarming people. It was more a personal matter, something I wish not to write about it at the moment. Maybe one day, I don’t know yet. A consequence of this was that I couldn’t reach my heart anymore and that was a complete surprise to me and also very hard because my heart is my guide in life. And, as many of you know, also Belle is a very important part of my heart and the most-valuable guide ever. I thought that, once in Portugal, I would feel less pain missing her physically by my side, but it turned out to be much worse. It taught me a meaningful lesson, that instead of ‘running away’ from all the memories at home, to be able to experience all those memories at the place where you made them together is an amazing gift to treasure every day, here at the exact same spot where we lived together. I’ve seen a lot of signs that Belle gave me during our stay in Portugal. Some examples; at a moment where I was very emotional, missing her so much, a little bird came by the window of the door, landed on the little ridge of the window pane, and sang a lovely song. Once I was driving back to the rented house, the sky was dark with grey clouds everywhere. I was doubting if to go back to the place where I didn’t feel well, when suddenly the sky broke open and bright rays of light shone down exactly at the spot where our destination was. 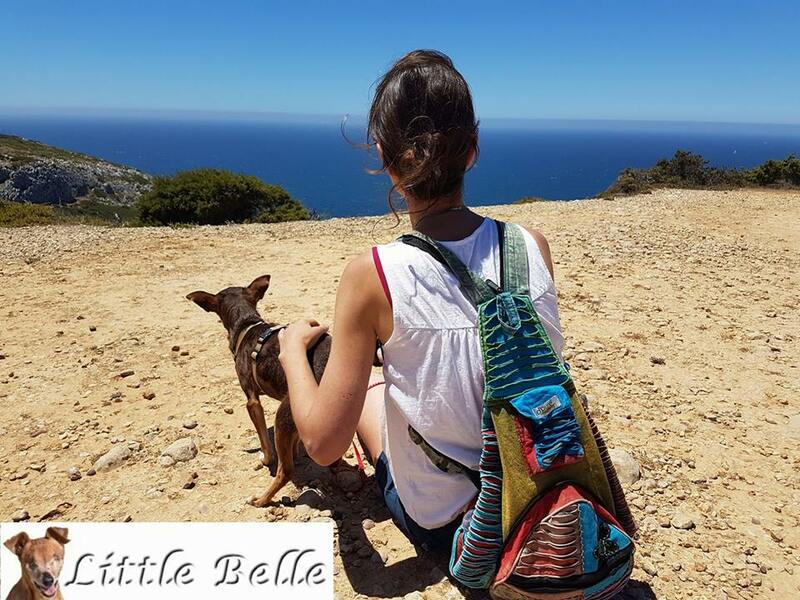 Another time, I was walking with Emi and Kintana, a memory of Belle came to my mind which caused a deep heartache. I looked at the sky and a big heart-shaped cloud was there, with on both sides the wings of an angel. And so many more, some I prefer to keep for myself, between Belle and me. As for the search for a property for our family, we didn’t find one yet. I’ve seen a lot of properties and I also drove to a lot of regions to just see and feel if it would be the right environment for us to live. I couldn’t find it. Remember that I couldn’t reach my normal intuition, so it was not so easy to determine how it felt. But maybe it also told me a lot, that this wasn’t the right region for us. I don’t know for sure yet, I just need time to let it all sink in. The funny thing is that there is one little dog that led me to another country and that is Cloudman. And I know for sure that another little dog, our warrior angel, led me to him. While driving to Cloudman, which was from the west coast of Portugal to the east coast of Spain I was in awe of the beauty of nature there. Where in some parts of the Alentejo I got a sort of suffocating feeling by all the mountains everywhere around me, here I saw more flat areas with every time another mountain or mountain chain in sight again. I loved that! I learned that I love hilly landscapes but I need to have a nice and clear view too. Besides that, I discovered that the east coast of Spain is quite interesting, feeling the even warmer temperatures there. So, what has brought this big journey to us? Of course, it was an amazing adventure, we’ve traveled through 4 very different countries and we’ve seen a lot. We met lots of wonderful people and friends, and made beautiful and special connections. We’ve seen and felt such pure and magical places, where nature touched our hearts in the most breathtaking ways. We’ve learned a lot about what we want with our search and what we don’t want. We learned a lot about properties and land for sale, about the different regions, the people and culture, and the climate. Although we didn’t found our dream place yet, which I didn’t expect to happen so fast (but you never know of course), it brought us a lot of experiences and information. Robert and I decided to take a little break now, for me to get lots of rest because the whole journey had a big impact on me, and for us together to think and feel more about our next steps. So, lots of work to do! I would like to thank all of you for your beautiful support along our journey, that meant, and still means, a lot to us. There were also friends that supported us with a donation, which was really amazing and touched our hearts deeply. Thank you so much! Little Belle will smile in heaven and in our hearts knowing and feeling that she and her family are surrounded by such wonderful friends. I think it’s already pretty obvious that I am very happy to be home again. I’m sitting behind my desk, in Little Belle her special corner, with the countless gifts you gave to her and to us, in her memory. All the dogs are close to me, resting in their own beds, or on the chairs or couches. Robert is attending a course today but will be home in a few hours. The horses are enjoying their hay outside and I can watch them through the windows, or later more closer when the dogs and I will go outside. Oh yes, it’s the best feeling ever to be home again! Today I would like to share some special news with you that might be quite a surprise, but maybe some people already sensed something after our adventure in Portugal. Anyway, I think lots of you have seen how special our time in Portugal was and a lot has happened since then. What I never shared with you, because it was not really a current thing yet, is that Robert and I were already thinking of moving to another country for years. But, because of my health, we never took actual steps to follow our dream. We hear a lot of times that we live in such a beautiful place, why would we maybe leave all this? One of the things that had a very positive influence on my health was the different climate in Portugal. This really was an amazing discovery. In the Netherlands, during summer time and higher temperatures, we always have a very high air pressure which always causes more pain. Also, the many days with rain and wind throughout the year increases the pain. We also wish a better environment and more space for the horses. The soil we live on is clay, so with the amount of rain we have here, it gets very easily completely rain-soaked with a lot of mud. We have spent already lots of money to keep the ground good for them, but every year it’s the same story. Another reason is that where we live now isn’t our property, it belongs to Robert his father who lives in the main house. Robert, I and the dogs live above the stables of the horses. 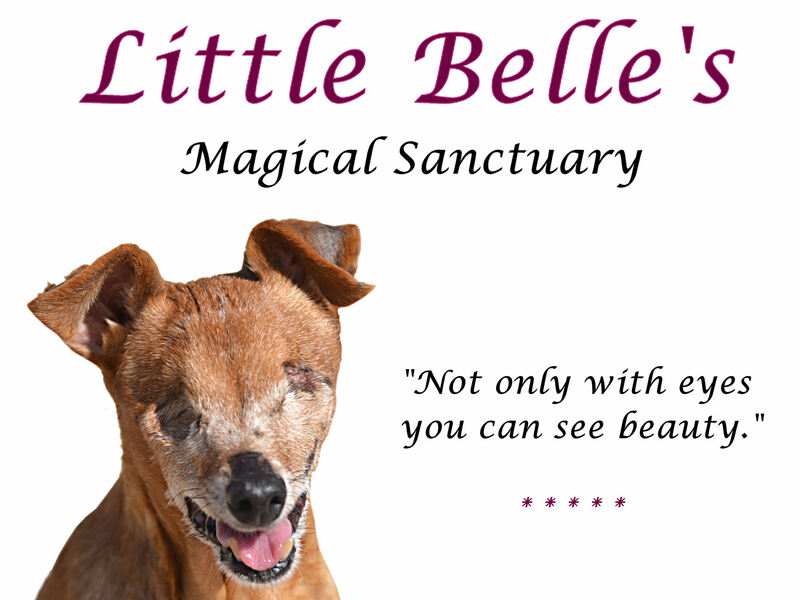 And last but not least, a very special one, with Little Belle’s Magical Sanctuary and my plans to help more dogs in need, we also like to have more space. 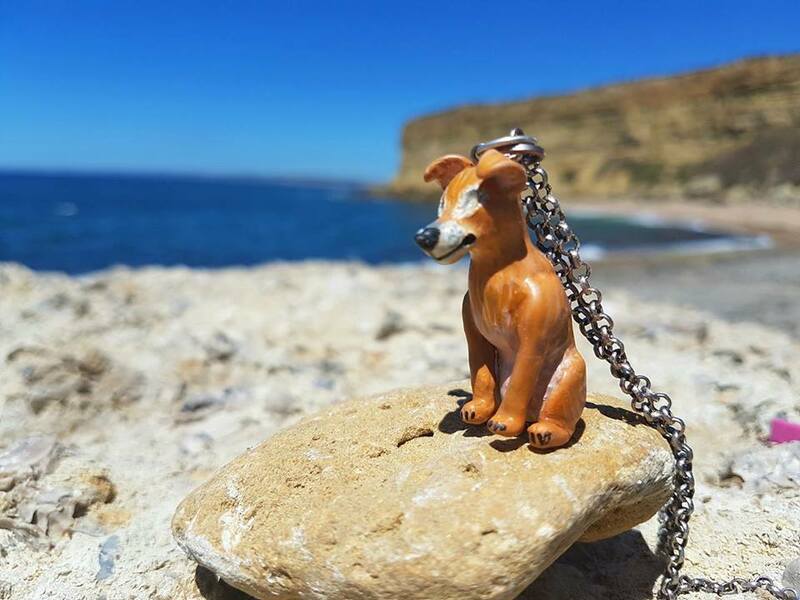 To be sure that Portugal will really be the best place to go with the dogs and horses, our plan is that I will go back in November and stay there for about 2 months, maybe longer depending on how it goes. I will bring Kintana with me and probably also Emi because she missed me a lot during the weeks I was in Portugal in July. Thanks to financial support of someone close to me this is possible. It was a big decision though, and I had quite some moments that I was unsure what’s best to do and I can still have these moments. Especially leaving the other dogs at home makes it really difficult for me. But this is the only way to do it, the only way how we can search for a new place to live. Robert will need to work and take care of all the horses and dogs. And in my heart I know the other dogs will feel okay together with Robert, they love him too 🙂 . In Portugal, I will look into two specific regions, the Alentejo and the Algarve. To investigate and explore different areas and to find out what feels as the best place for us to live. And one other big thing I want to do in Portugal is starting to write again. To continue with the book where Belle and I had to stop in February this year, the moment when we found the new tumor on her jaw. I haven’t been able to write since then, due to all what happened and so many emotions… And there are so many memories here that I just haven’t been able to start again here. 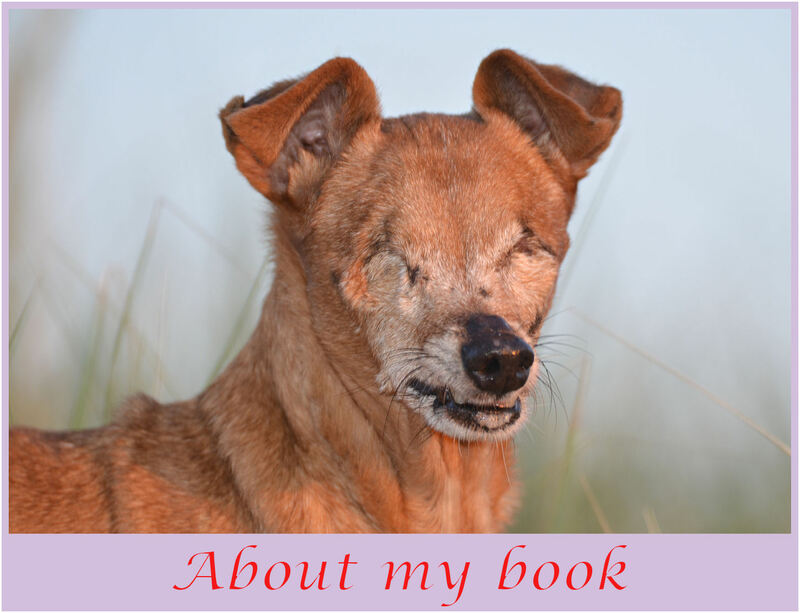 Therefore, I hope I will be able again once I am in Portugal, in another environment and with more time to write everything I still want to write, there is so much to tell (! ), with the help of my beautiful little girl Belle. 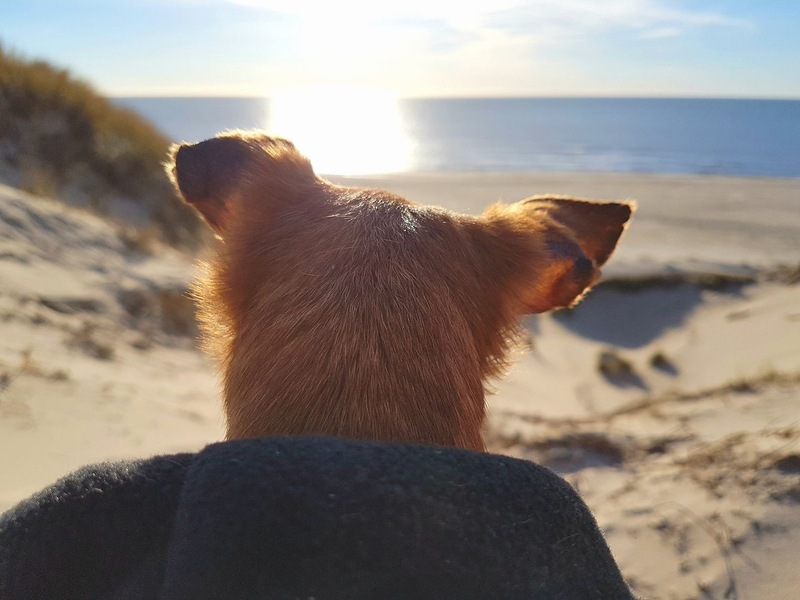 Of course, nothing is certain yet, we don’t know exactly where it will lead us and maybe we just stay here and we will keep focusing on giving the best care to all our animals. But then we know that we have thoroughly investigated all possibilities. 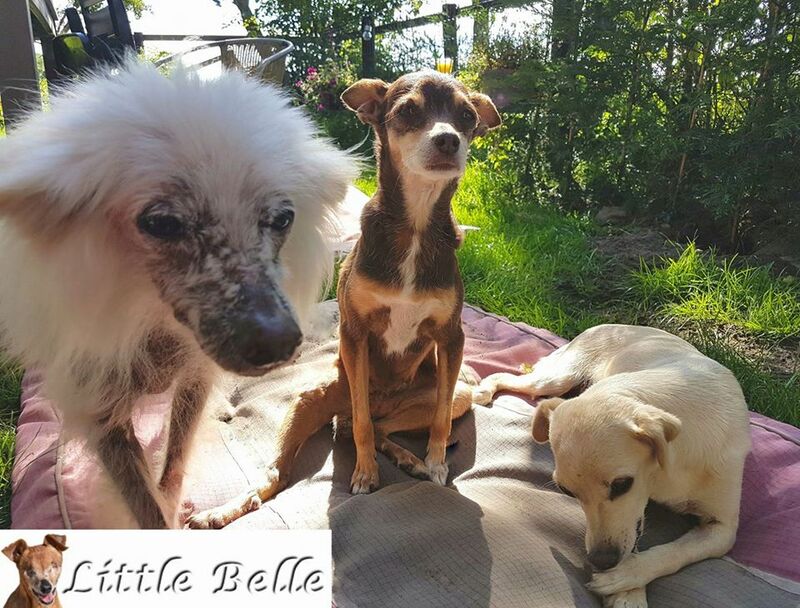 Little Belle’s Magical Sanctuary will stay in the Netherlands as long as we live here and we will continue with the work we do for our own animals and other animals in need. Your support will always be needed a lot, so I hope you will continue to help us.